In this special segment, John H. Conway reminisces on his long friendship and collaboration with Martin Gardner. Greg Chaitin, author most recently of MetaMath!, discusses the ubiquity of undecidability: incredibly all kinds of mathematical and physical systems exhibit utterly unpredictable, baffling behavior– and it’s possible to prove we can never fully understand why! G4G9: Report From the Festivities! Quick interviews with folks here at the Gathering For Gardner, including Stephen Wolfram, Will Shortz, Dale Seymour, John Conway and many others. The world’s largest ever exhibit of Escher’s works is on display, right now, at the Boca Raton Musuem of Art If you can, this is a must see event! We talk with the collector, Rock J. Walker about his fascination with this amazing work. And of course we answer last week’s puzzle, and hear from listeners! Our favorite new and not-so-new products of 2008! Check out these great gifts! Zome is an incredibly powerful construction system! The Riddles of the Sphinx by David J Bodycombe, an amazing compendium of puzzles, of hundreds of kinds, at all levels of difficulty, with historical essays to boot! The Princeton Companion to Mathematics is a landmark classic. A must-have for every serious student, researcher or amateur. AK Peters is another fantastic press, with a wide range of interesting math and CS titles, including, ahem, the Symmetries of Things. Binary Arts/ThinkFun is another source of great puzzles! And the authors Martin Gardner and Ivan Moscovitch are always fantastic! Hope this helps and have fun!! Let us know how it works out! Happy Holidays from the Math Factor! 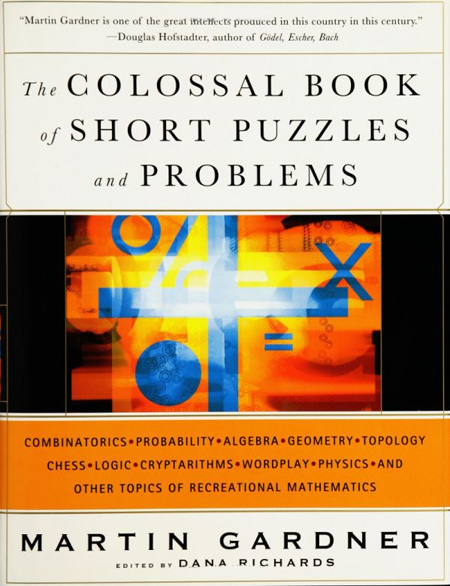 Dana Richards, editor of The Colossal Book of Short Puzzles and Problems discusses the amazing Martin Gardner and his legacy! M.C. 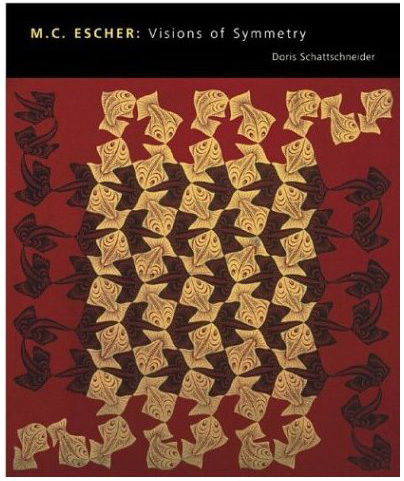 Escher expert Doris Schattschneider, author of Visions of Symmetry, sits down with us in Leeuwarden Friesland, Escher’s boyhood hometown, to discuss his life and work. Art Benjamin, mathemagician at Harvey Mudd, staggers, astounds and entertains! DZ. Mind Control Across Time and Space! Eric Demaine of MIT will control your minds across all time and all space! Gray Codes are tremendously useful; a great, very readable discussion is in Chapter 2 of Martin Gardner’s Knotted Donuts and Other Mathematical Entertainments. Download a great math factor poster to print and share! Got an idea? Want to do a guest post? Tell us about it! Heya! Do us a favor and link here from your site! HP. Happy Root 10 Day! HD. 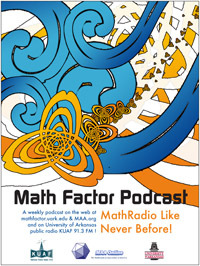 The Math Factor Returns! HB. Puzzlers Pegg and Stephens! GW/GV Math Factor Hits The Road! Morris: The Meaning of LIFE is …..
Morris: How Many Boys? On a Tuesday? GM. What’s the Big Deal Anyway? GD. The Math Circus is Coming To Town! FS. The Portuguese Waiter Trick! Yoak: Pick a ball! Any Ball! FR. Who Wants To Be A Mathematician? Yoak: Will A Real Gold Coin Please Stand Up? EY. Our Vth Anniversary Special! Follow Up: Loops and the Harmonic Series. EI. How to Pass a Cube Through Itself! EH. The Worm Makes It! DW. The Online Encyclopedia of Integer Sequences! DO. Proofs Puzzles and Conundra! DD. Should We Teach College Algebra? Q&A: Why is 0! = 1? CD. Alas, Up To A Million Dollars Might Have Been Given Away. BW. The Math Factor Million Dollar Give Away!!! BR. We Don’t Know the Way Out! BO. When did you say? AX. Averages are not what they seem! AW. Will we run out of Social Security Numbers?